BiOrb fish tank is a well-known name which is quite popular among fish owners all over the world. It has modern and elegant designs, and the setup is also straightforward, which is why it has become a favourite for fish keepers everywhere. 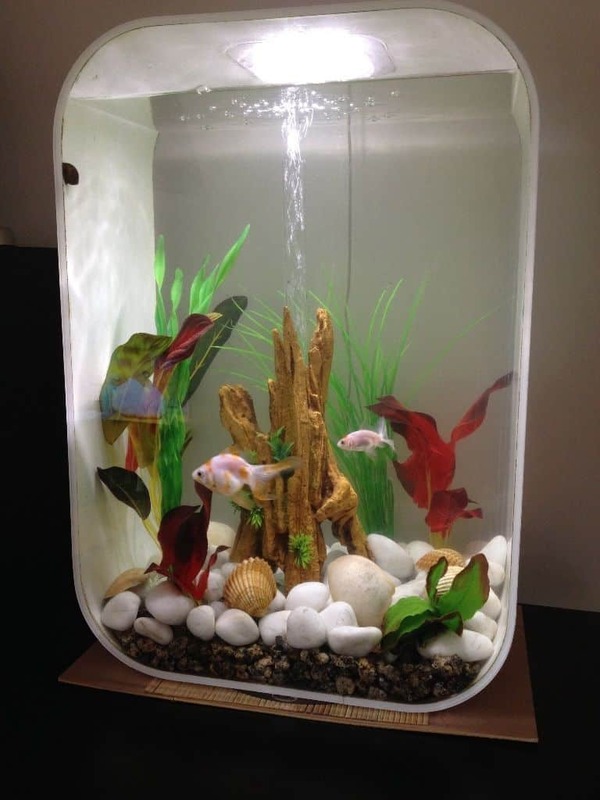 The BiOrb fish tanks are available in many styles, such as the traditional fish bowls as well as in cylindrical models that can fit in easily anywhere at home. 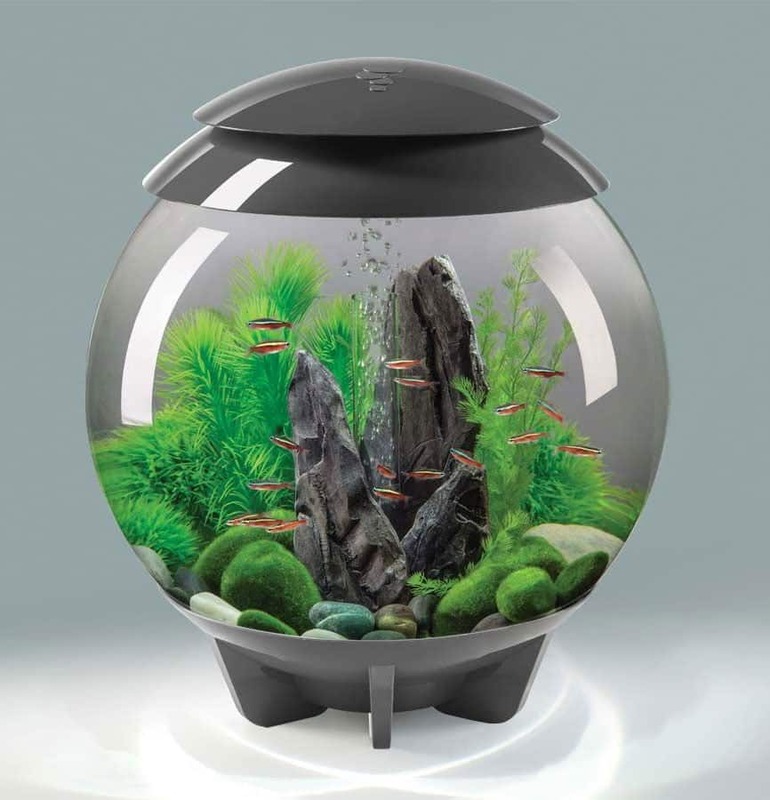 The BiOrb fish tanks include a filter which is specifically designed to handle the exact volume of the water tank. There is also an aquarium light system which helps to eliminate any questions which a person may have regarding the number of watts required or issues with installation. It is ideal for the beginners as well as for the expert aquarists because of their ease of use. The BiOrb classic aquarium system is the most popular one amongst most fish keepers. The design is stylish yet traditional with a simple look of a classic fish bowl. It has a clear acrylic construction which makes it shock resistant, lighter, stronger and clearer as compared to the regular glass aquariums. 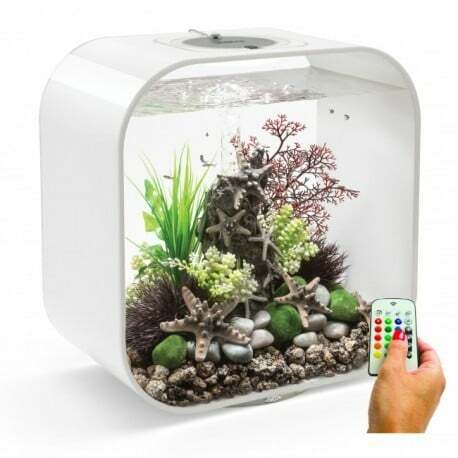 The class BiOrb fish tank has four models to choose from. There are BiOrb Classic 15/baby BiOrb (4 gallons – 15 litres), BiOrb Classic 30 (8 gallons – 30 litres), BiOrb Classic 60 (16 gallons – 60 litres), BiOrb Classic 105 (28 gallons – 105 litres). 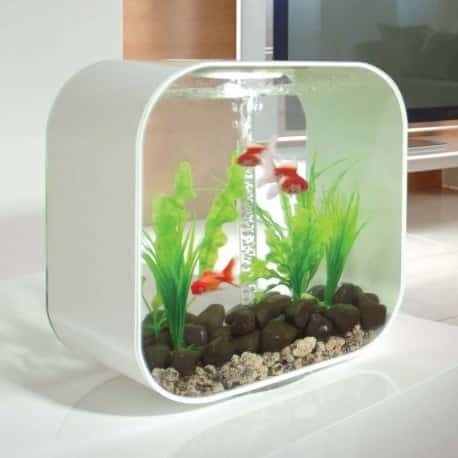 The style and design of the BiOrb fish tank you choose depend upon the number of fish you intend to keep. It is important to choose a size and a model that is spacious enough to maintain a healthy environment for the fish. The first ever BiOrb fish tank came into being back in 1998 by Reef One. The company was founded by father and son, and the main purpose was to make it simpler for people to take care of their pet fish. 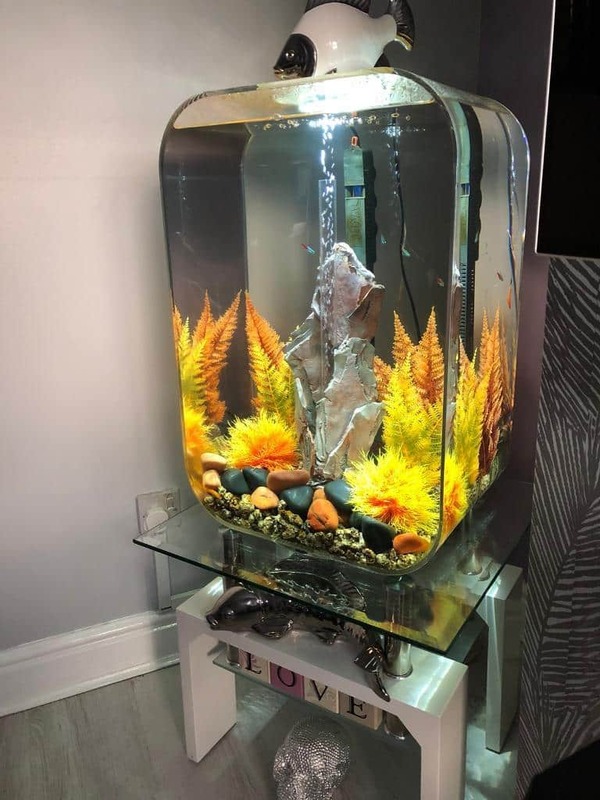 Since that time, this fish tank has become extremely popular with the fish owners and the copycats alike. The original style and design of this BiOrb fishbowl have been imitated in different variations over the years. The original BiOrb fishbowl has also been purchased by celebrities such as Ryan Seacrest and Mariah Carey. The design is meant for functionality and beauty. The best part is that it helps to clean itself. 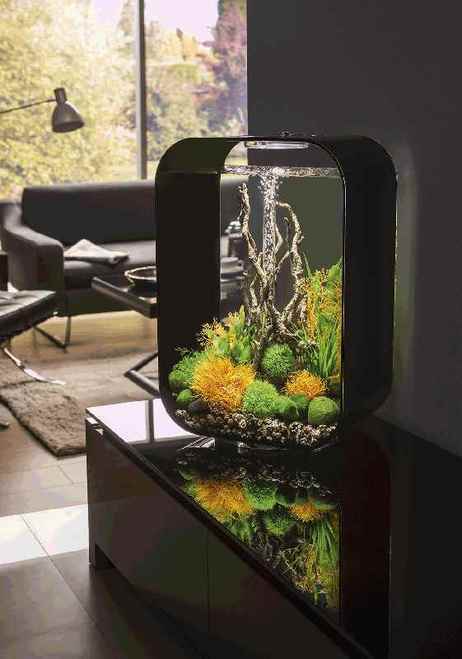 It is also technically superior to other designs and more sophisticated than a standard aquarium or a fish bowl. The original BiOrb fish tank was shaped like a clear and large Christmas ball. The BiOrb fish tank is round and has a flat bottom. It has a circular lid on its top, and it contains a clear central tube from which the water continuously passes through. This is the filtration process which is unique, and it helps the fish owners by giving them time between their cleanings and the changing of water. 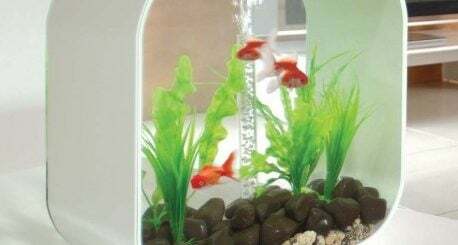 Since the original design of this fish tank which was a round bowl, other styles like rectangular and other shaped bowls have become popular as well. The filter of this bowl has to be changed every 4-6 weeks and one-third of the water should be changed after every few weeks. This means taking out at least 30% of the water and replacing it with new treated water. This BiOrb fish bowl is also considered very Feng Shui. This is because of its round, smooth shape and the continuous flowing of water. This helps to create a peaceful environment whether it is in the office or at home. The BiOrb fish tank is ideal for both type of fish, whether they are bottom dwellers or the surface feeders. This bowl brings beauty and interest in any space. There is a small box filter placed in the middle of the classic design of the BiOrb fish tank, and this is the heart of the whole system. It is powered and connected through an external air pump which is included. During operation, the air flow is pumped into the filter box through the air flow pump, and then it escapes out from the water from the bubble tube. This makes the water flow indirectly from the filter media which is inside the box, thus filtering the water. This system provides five stages of filtration to maintain and improve the water clarity and quality. It produces oxygen-rich and clean water flow by the air driven filtration system that continually changes the water surface. This helps to create a healthy environment for the fish and reduces any bacteria. If there is any fish waste, it is pushed down through the circular flow of water and gets detoxicated and trapped. There is also ceramic media which is included and gravel that is located at the aquarium base and provides a home for beneficial bacteria to thrive and provide biological filtration. It helps to remove toxins like nitrates and ammonia which may be degraded from the fish waste. There is also a sponge cartridge which helps to filter-trap any solid wastes. This helps to achieve the quality of water which is required. The clean water is oxygenated and returned by the bubble tube, and the whole cycle is repeated. The BiOrb fish tanks are available in a wide variety of sizes, and you can easily find a format that will suit your needs. 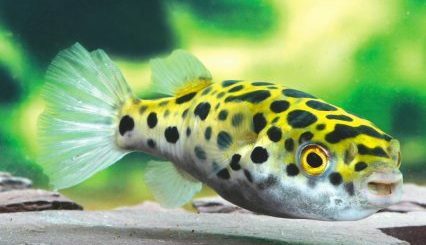 Many people use the rule of thumb which is ‘one gallon of water per one-inch fish’ which helps to determine the right size which may be needed as per the number of fish you keep in the tank. The BiOrb fish tanks are also available in small quantities, just right for your office desk! 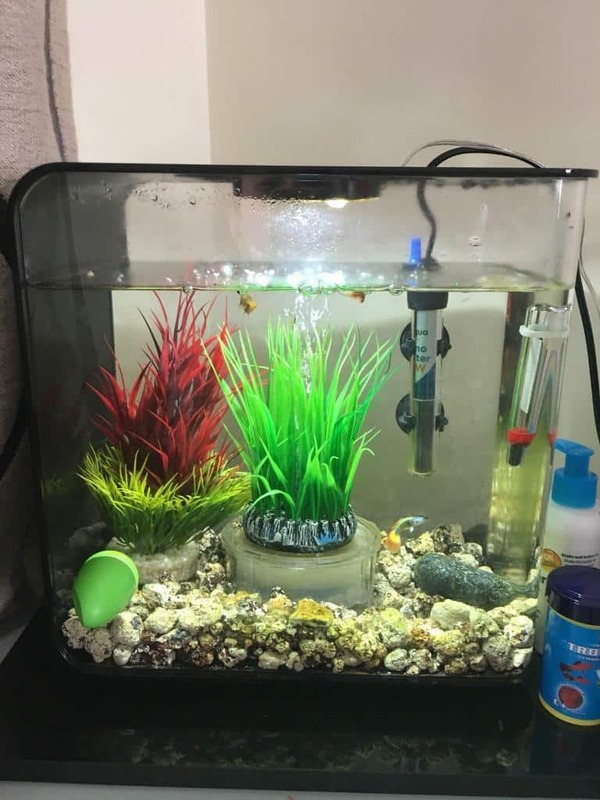 It is available in the four-gallon BiOrb tank variety. For the freshwater shrimps, the standard BiOrb 30 litres fish tank is ideal. For the more extensive and elaborate setups with cold water or tropical fish, the larger sizes of the BiOrb fish tank will work for you. For saltwater aquascaping, the 28 gallons of BiOrb classic fish tank is chosen most of the times which are of 28 gallons. The more significant is the container which you decide to build for the saltwater reef system, the easier it is to maintain the tank. It is difficult to create a thriving reef system with a small BiOrb fish tank especially when you are a beginner. If it is a reef system that is built in a spherical BiOrb fish tank, it is undoubtedly worth a try since it is beautiful. The setup and assembly of the fish tank are quite simple. You should prepare all the necessary things for the setup before you start. Most elements required all already included in the packaging, and all you might need to purchase is the substrate and specific decorations for aquascaping. There is a different amount of substrate required for different sizes of the fish tank you are setting up. For example, a 4 gallon of classic BiOrb fish tank would require around 3 pounds of gravel, while a 28 gallon of classic BiOrb fish tank would need about 25 pounds of gravel. An aquarium heater needs to be purchased separately as well if you are building a tropical fish tank. Again, different watt heaters would be required as per the size of the fish tank. There is a full guide included in the package that provides help in all kinds of setups. The simple design of this fish tank makes it easy to maintain. BiOrb also makes an ultimate maintenance kit bundle which makes life simpler when handling the tank for fish owners. It includes everything that they may need during the maintenance process. 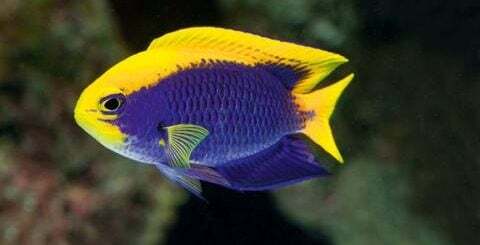 The main thing that is required for the fish owners is to clean the acrylic wall and change the water of the aquarium every four to six weeks and follow the instructions mentioned on the package. Firstly, they must use the algae magnet cleaner in order to remove the algae on the internal acrylic wall. Secondly, a vacuum cleaner is used to syphon out the algae which have been removed, along with any debris or dirt which may have been in the substrate. Then at least half of the aquarium water should be replaced. The old aquarium water which has been removed may be used to clean the filter. This will help to save the helpful bacterial which is on the surface of the filter materials. The screen can be removed very easily for cleaning and maintenance. The sponge cartridge can also be removed for cleaning with a simple twist. However, if the cartridge becomes too old, it may need to be replaced with a new one. The more regular you are in providing maintenance to the fish tank, the better would its quality be and it will last longer.